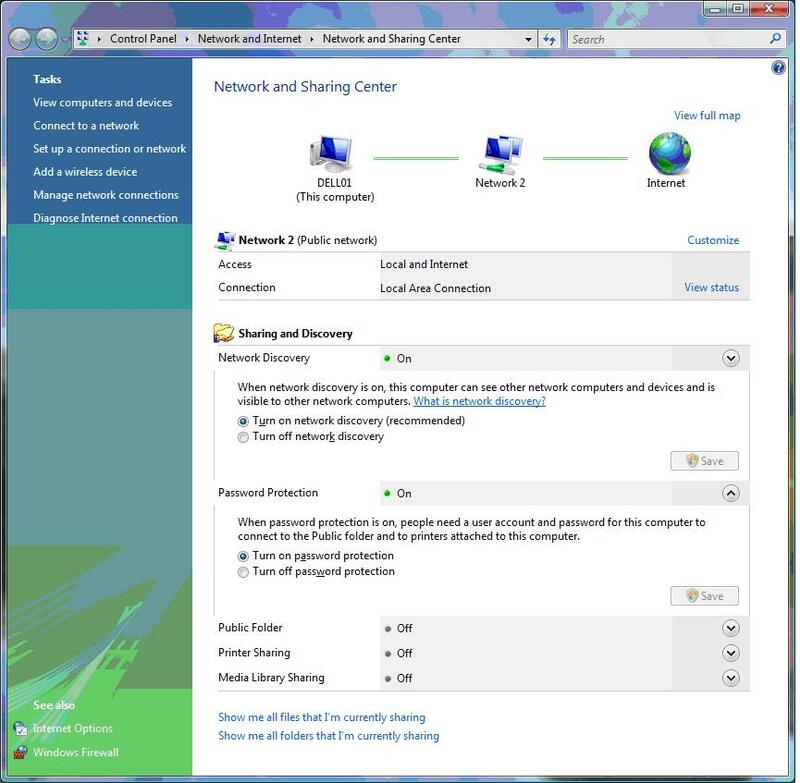 Network and Sharing Center in Windows Vista user interface. To access Network and Sharing Center, click on Start button, and then click on Control Panel. In the Vista Control Panel, select Network and Internet, and then select Network and Sharing Center. At the bottom of the Network and Sharing Center, you will see the links of Show me all files that I am currently sharing and Show me all folders that I am currently sharing. Clicking on either link will instruct Vista to open an window listing all the files and folders that is been shared from your computer.